I was searching GoodReads for events in my area. Robbie Farris stabbed his junior college eprofessor twenty-seven times. At his arraignment, Robbie pulls a gun and escapes. After his mother is found murdered i her shabby house trailer, Robbie's lawyer, Jimmy O'Brien, is led into the seemingly unrelated worlds of high-profile, religious evangelism and old-fashioned Mojave Desert borax mining. 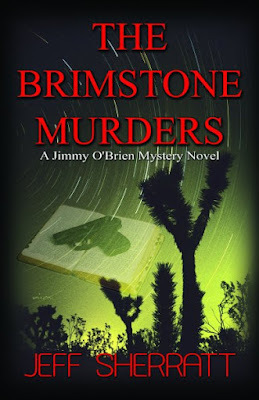 Jimmy fight the clock, the cops, and the DA in his effort to find and return Robbie before he himself is charged with Section 187-murder in the first degree. The author recommended reading Guilty or Else first. They can be read as stand-alone books but it is the same main character and Guilty or Else happens the year before The Brimstone Murders. "Get your client to plead guilty, or else!" This is the last thing an ex-cop with a brand new law license expects to hear when they hand him the case of a lifetime on a silver platter. But Jimmy's shining star obviously has some strings attached. When a prominent state senator's attractive assistant is murdered, the cops arrest a Mexican gardener. The DA's case is slam-dunk. It's all wrapped up nice and tight. Maybe a little too tight. Something's not right in Downey! It's 1972 and the Mob is heavy into politics. 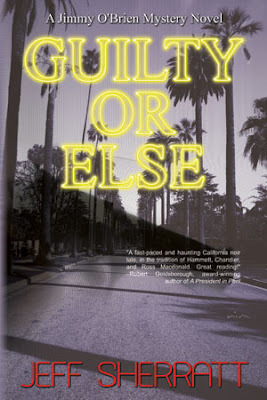 From the track at Del Mar to the neon strip of Las Vegas and back to Beverly Hills, this novice criminal lawyer finds himself climbing into the pockets of judges and fending off the threats of a garbage mogul. How much did the assistant really know about the senator's powerful backers? Enough get her killed? Both books are available at Echelon Press. Tales from Grace Chapel Inn, a series written by different authors. I picked up the first book at Costco purely because of the cover. Sounded nice and look, there are two more. Even better, they were books 1, 2, and 3. Loved them! The Christmas spirit is settling over Acorn Hill, and the small town has never been more beautiful. Several local houses are included on a holiday homes tour, and a group of visitors has come from far and wide to admore Acorn Hill's best-kept homes all decked out with wreaths and bows. But when the tour's leader cancels, it's up to the Howard sisters to show the lost group of tourists around their hometown. And when a sudden snowstorm leaves the group stranded, Grace Chapel Inn becomes a place of rest and refuge for the weary travelers. The sisters' plans for a quiet Christmas a ruined, but as the guest share their own old-fashioned traditions, they are all reminded of the sweet simpicity of celebrating with friends, old and new. Through it all, the Howard sisters extend their special blend of hospitaliy to their guests, who discover the importance of family and friendship and the true meaning of Christmas. 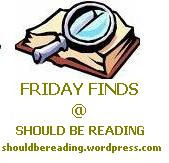 Those are great finds with interesting covers and premise. Will check those out! 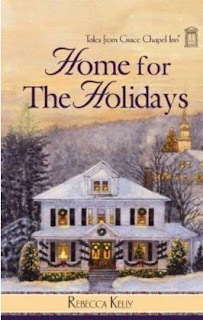 i would totally have picked up Home for the Holidays based on the cover too! and i love stories where people are stranded, interesting events always come up or there' time for reflection and bonding when you're stuck in close quarters!